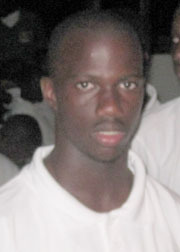 Dominica medium pacer/opening batsman Terrel Toussaint is among the reserves. Windward Islands cricket selectors have named 17 players, including three reserves, for the West Indies Under-15 tournament in Jamaica later this year. The team, which will be captained by Grenada’s Emmanuel Stewart, includes four players from champion team Dominica in batsman Leic Charles, offspinning allrounder Alick Athanaze and medium pacers Maldini Royer and Daneal Dupigny. 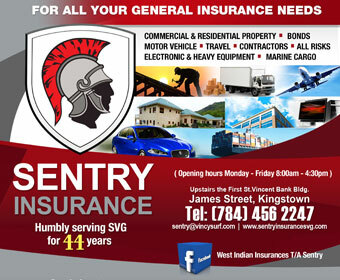 In addition to Stewart Grenada, has batsman Johann Jeremiah and offspinner Darron Nedd as well as left-arm spinner Narun Singh. The St. Lucians named in the squad are allrounder Johnnel Eugene, the big hitting wicketkeeper Denzel James, spinner Stuart Calderon and allrounder Nick Elibox who has been named the vice-captain. SVG, which failed to win a match, earned two selections — left-arm pacer Shane Roberts and top order batsman and offspinner Delorn Douglas. The reserves are medium pacer/opening batsman Terrel Toussaint and spinner Kerwin Dupigny of Dominica, top order batsman Dane Edwards of St. Lucia, and spinner Erwin Williams of SVG. Grenada’s Dwayne Gill is the team’s coach and former St. Lucia and Windwards opener Alton Crafton the coach. Former St. Vincent and Windwards offspinner Stanley Hinds while agreeing with the selectors with most of the players had serious concerns about the omission of Toussaint, one of the tournaments leading allrounders. “I cannot how this guy is not part of the first squad….this is wickedness because he has performed well enough to have gotten the nod. … He should feel real disappointed,” Hinds, a former Windwards selectors, said following the naming of the squad. Toussaint, who opened the Dominica batting, got 91 runs with a highest score of 45 for an average of just over 15. He also used the new ball to pick up 11 wickets at just over 14 apiece. John, a former teammate of Hinds both at the local and regional level and who recently replaced him on the Windwards selection panel, said that some who performed reasonably well are overlooked at times for a number of reasons. He however said that while not discussing any situation in particular, members of the reserves should see themselves being given a call if anything goes wrong with members of the current 14-man squad.